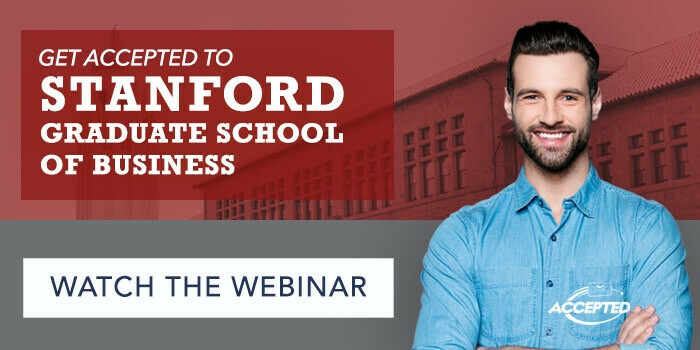 If you missed Get Accepted to Stanford GSB or if you’d like to view it again, the webinar is now available on-demand. As you prepare for next season’s applications, learn the key strategies you need to approach Stanford’s application successfully. How can you show that you’re a perfect fit? How can you ensure your application will stand out? How can you give yourself the best possible chance of acceptance? Let Accepted’s Founder Linda Abraham provide you with a proven strategic framework for a successful application. View the webinar now.